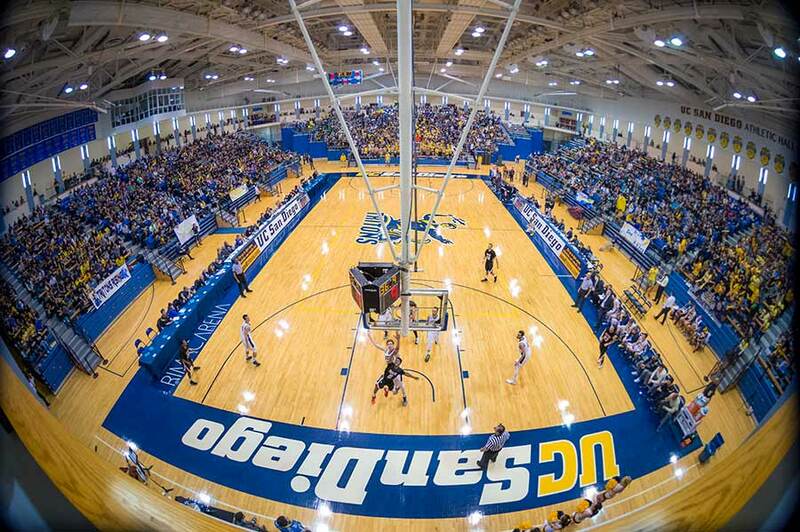 UC San Diego made big news recently when the campus announced it will be moving to NCAA Division I as a member of the Big West Conference. 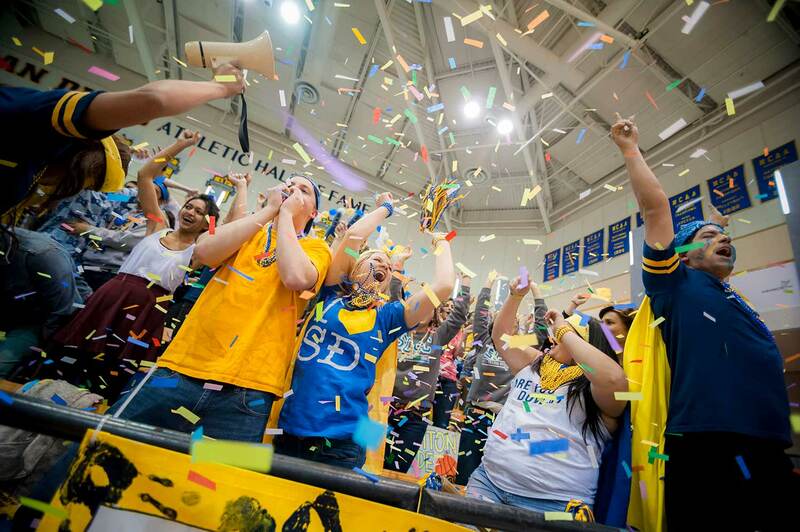 UC San Diego Athletics has invited the entire campus community—students, faculty, staff and alumni—to celebrate this historic event at Spirit Night on Friday, Feb. 9. The Triton women’s and men’s basketball teams will take on Cal Poly Pomon. Spirit Night will center around a basketball doubleheader that is guaranteed to be high energy. At 5:30 p.m., the women’s basketball team—seeded first in their conference—will take on No. 2 Cal Poly Pomona. Following at 7:30 p.m., the men’s basketball team—seeded second—will take on Cal Poly Pomona’s No. 1 men’s team. New this year will be a student tailgate leading up to the games. Free food from vendors including Papa Johns, Board & Brew and Luna Grill will be available. Interactive games and inflatables will be on site, and a DJ will perform. The tailgate will begin on RIMAC Field at 4:30 p.m. There will also be giveaways for students arriving early to the tailgate, including T-shirts, foam fingers and pompoms. Tickets are free for students. Game tickets for UC San Diego faculty and staff, along with anyone in their party, will be half price at $5. Just show your campus ID at the RIMAC Arena Box Office. For alumni, Athletics will also host a special networking mixer at Bella Vista Social Club, at 2880 Torrey Pines Scenic Drive, at 6 p.m. Alumni attendance to the mixer and games is free, with a guest. Register here. For more information on the Spirit Night festivities, click here.